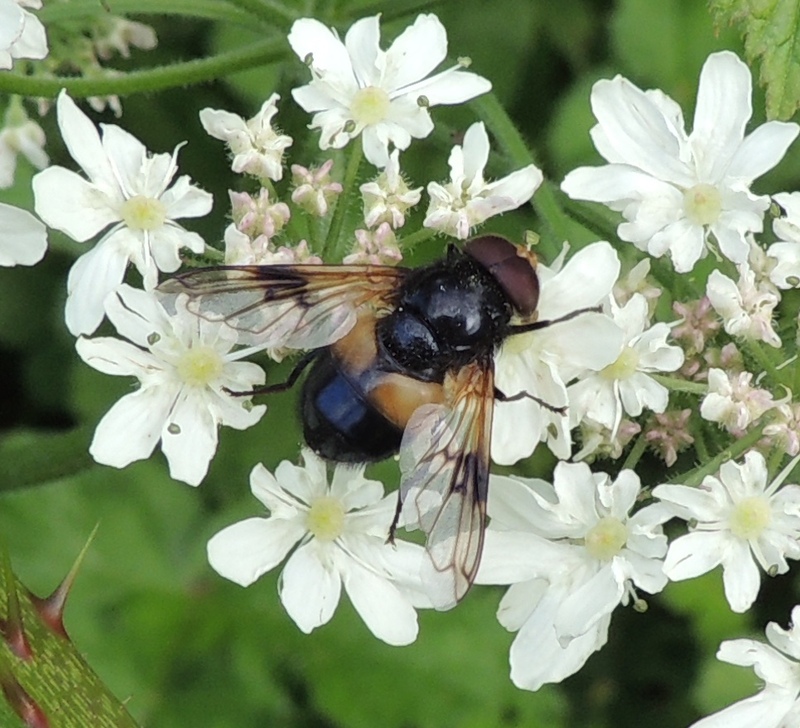 29/6/15 Last days of June finally brought some hot weather. 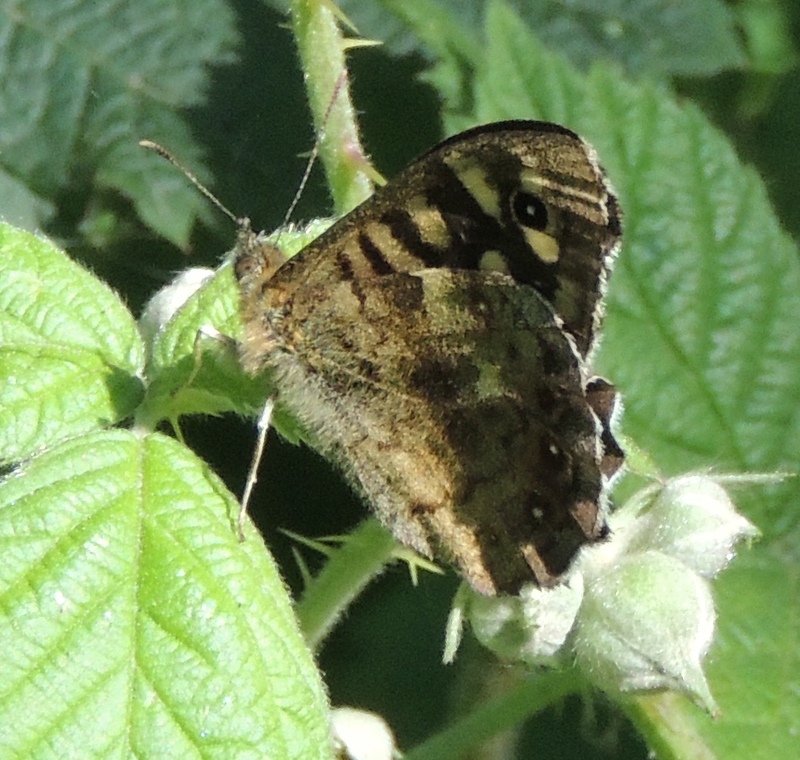 On Monday with recent reports of Marbled White on the wing at Kiplingcotes thought another visit might be worthwhile [see here and here]. Started again at the station. 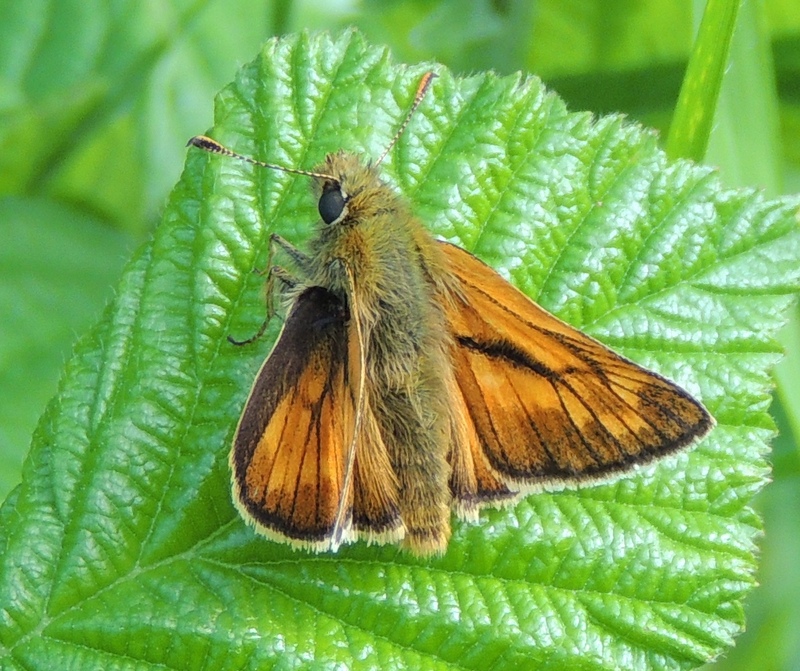 Wasn’t too promising as I’ve usually had them early on but did have a few butterflies including my first Large Skippers. Finally had a Marbled White as I drew parallel with Kiplingcotes Chalk Pit NR but it promptly flew over the fence into the reserve. The reserve itself was initially unpromising. 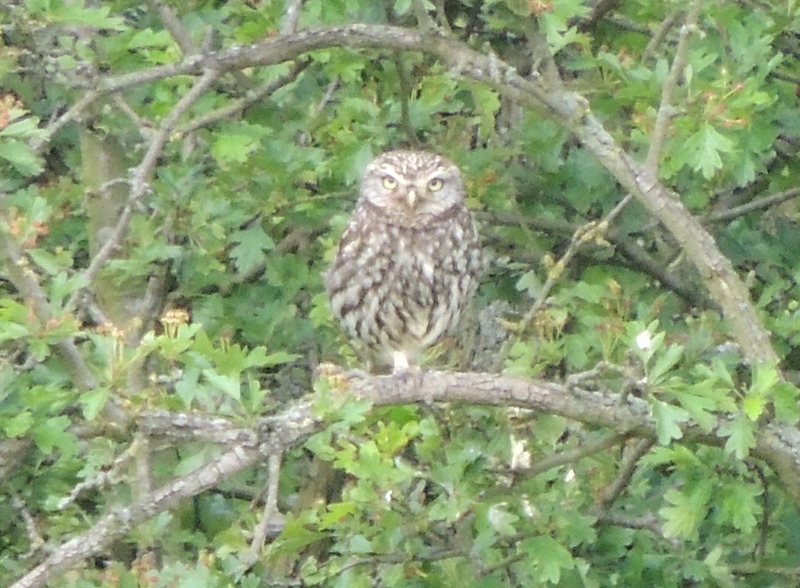 Saw no butterflies but flushed a Little Owl from a thorn bush. Fortunately it flew to the scrub at the east end and I was able to slowly approach with in range of a reasonable picture. It again flew a short distance, this time out of view. This owl had been seen by a recent “Birding with Flowers” group. 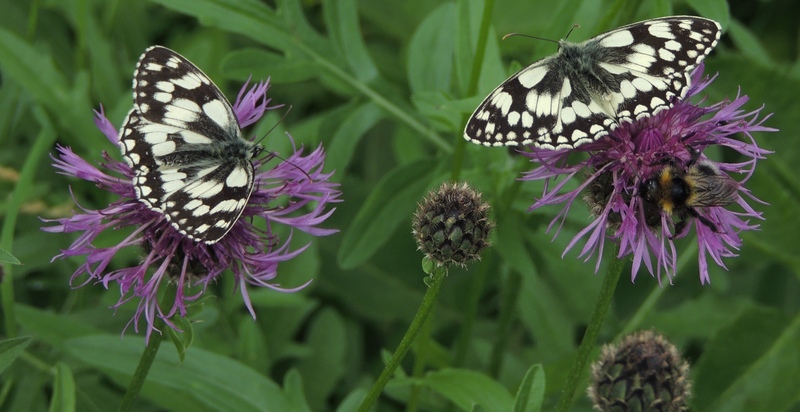 In the shelter of the scrub found two Marbled White at rest on Knapweed. 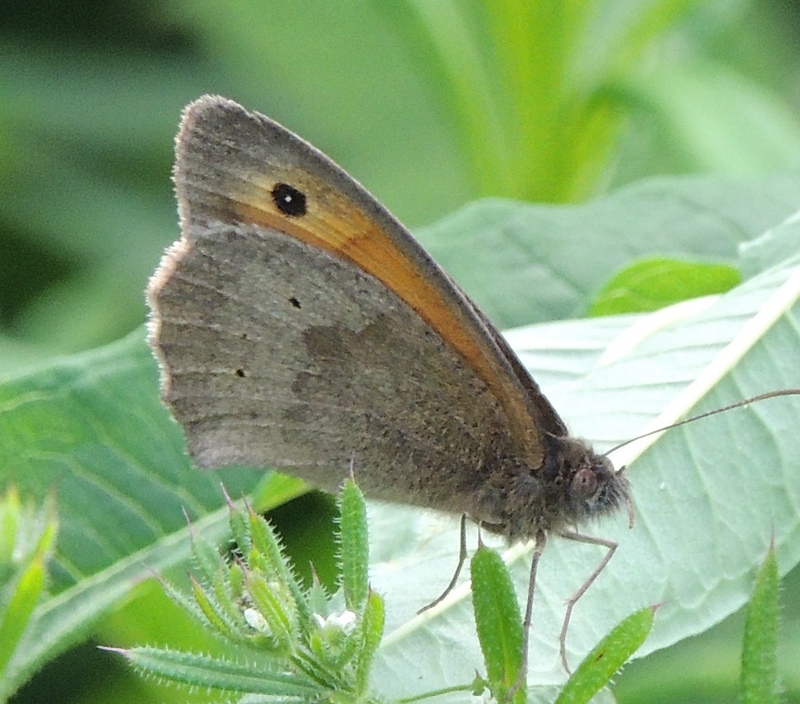 30/6/15 Tuesday afternoon went to North Cave Wetlands NR. Hoped for recent Green Sandpiper as well as the Wood Sandpiper but neither were about. 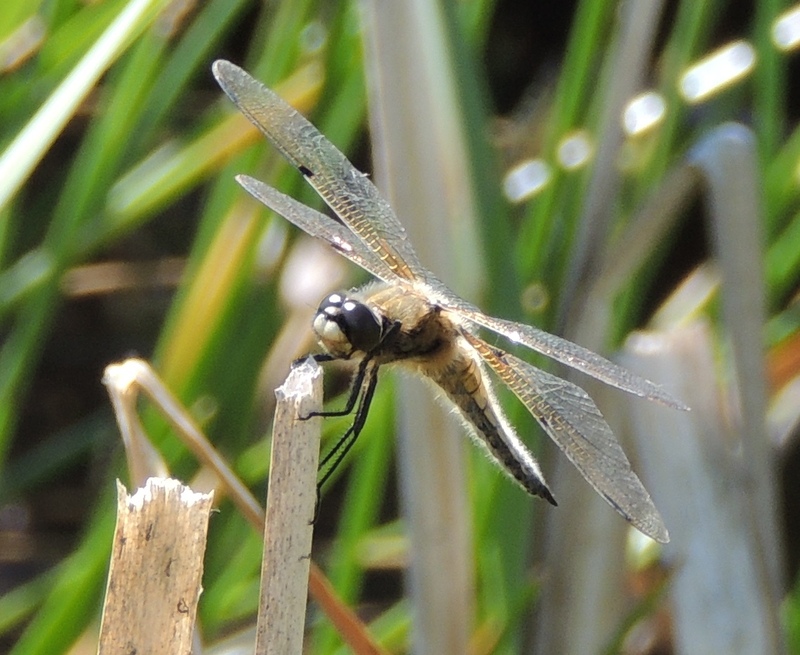 Had a few dragonflies including Emperor which didn’t linger and Four-spotted Chaser that did. Also a good number of butterflies. A male Little Bittern was reported at Old Moors RSPB late afternoon but in an area not normally accessible so didn’t seem any need to panic yet. The species however was high on my wanted list for Yorkshire not being around for the Potteric Carrs breeders in the eighties. 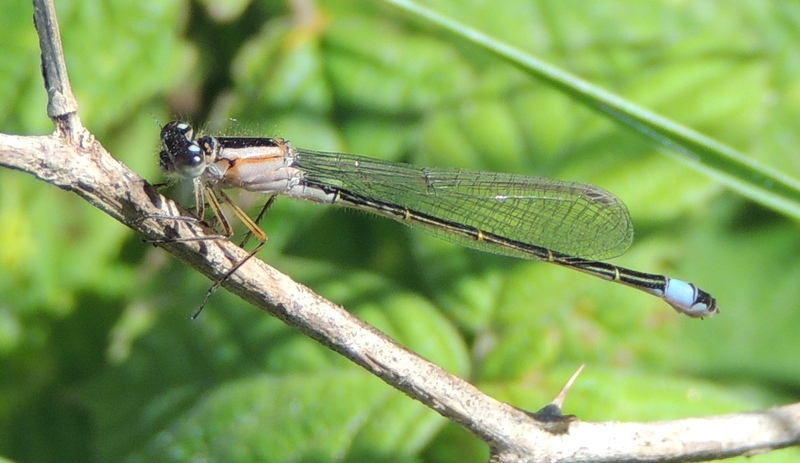 Had several damselflies along the western path. Joined SG in South Hide to count Mediterranean Gulls. 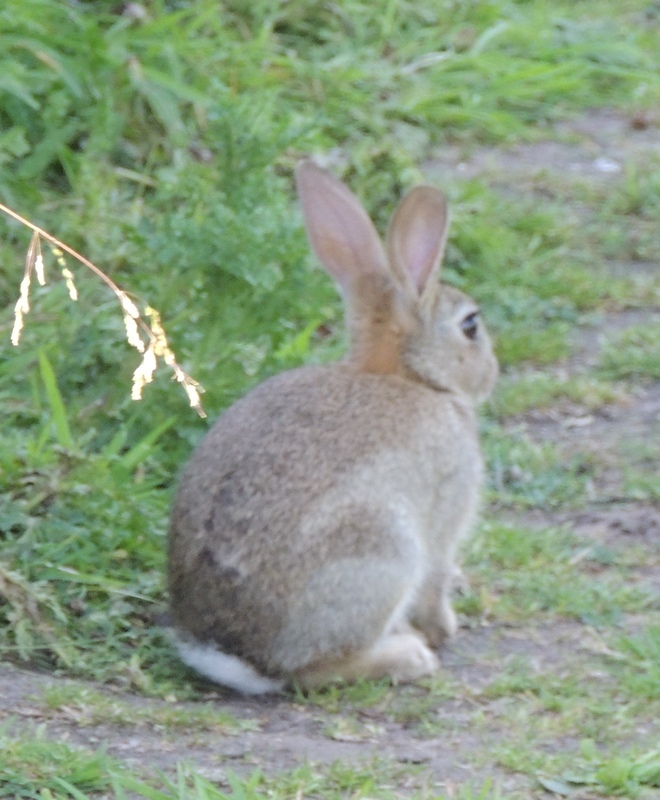 Had the breeding pair who appeared to be trying to drive off their two juveniles and start courting again. Also a second summer that was new for me. Moved to Crosslands Hide where we had up to two different adults. 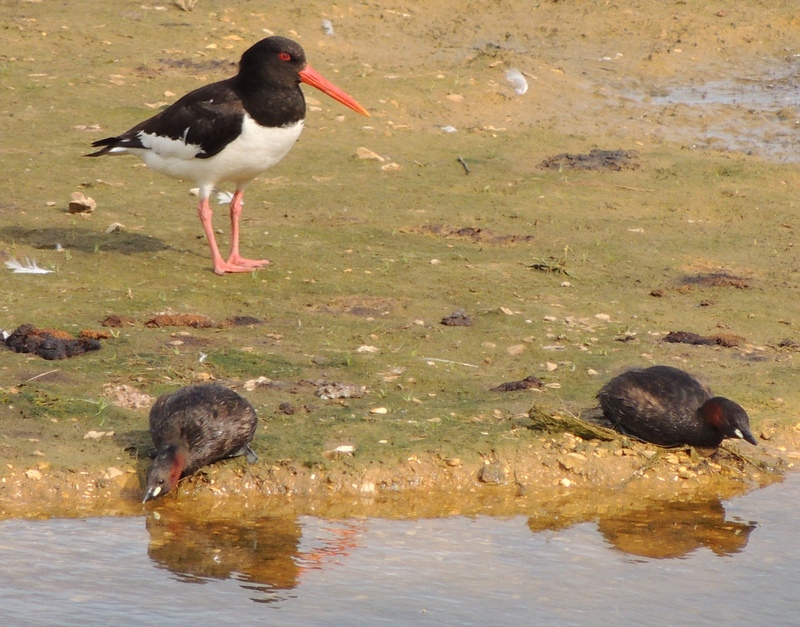 A pair is suspected to be nesting out of sight on Dryham Ings. 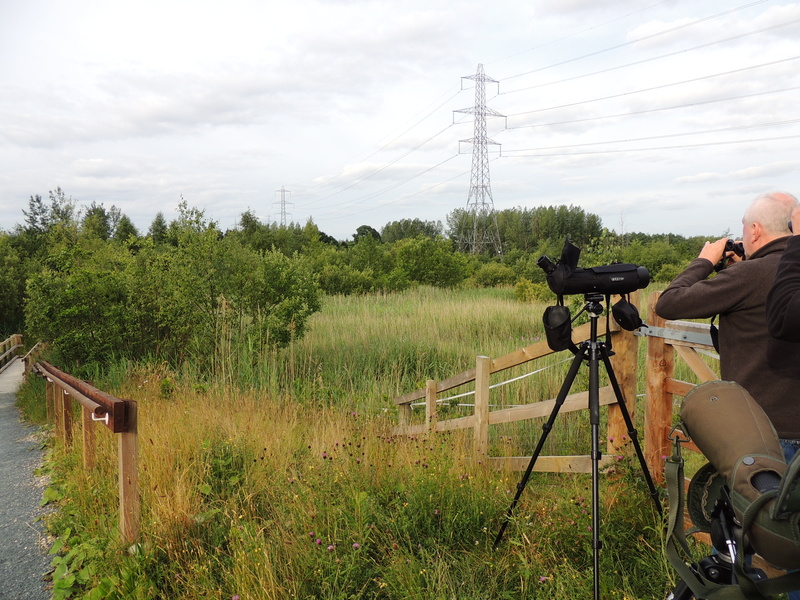 The Little Bittern had been seen again and access to the reedbed arranged. Didn’t feel up to doing the trip on my own and considered getting a lift but couldn’t cope with a late night and as it turned out a pointless wait until dusk would have been the result. However Wednesday morning it was seen again. Had something on that evening so couldn’t go after work but again was fortunate as not reported after early afternoon. Did much the same the rest of the week only occasionally seen at a time when I might of been there but the heat and a heavy work load made a trip out of the question. 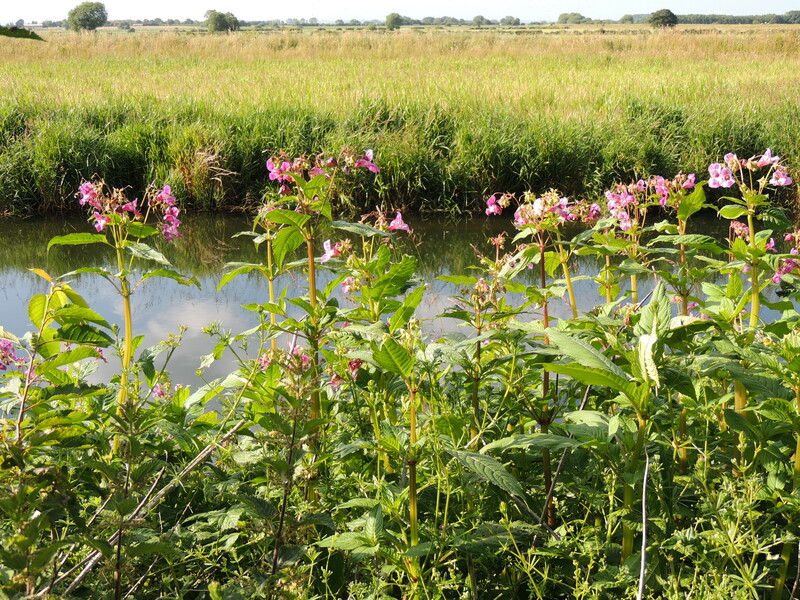 3/7/15 Workload lighter on Friday and made a trip to High Eske NR late afternoon. Highlight was a Green Sandpiper flying off. Otherwise three Common Terns, over flying Little Egret and a recent brood of eight Tufted Duck ducklings were only notable birds. 5/7/15 Helped by not going out on Saturday afternoon managed to hype myself up for a early ride to Old Moors RSPB on Sunday morning. The main reason for an early start was it seemed the best time to see it but also thought the earlier the better would mean a less packed hide and with recent tropical heat I was worried a later arrival could mean the hide becoming like the “Black hole of Calcutta”. Due to work related hand problems as well as a mental problem with long rides including motorways I had some trepidation. Did have some bad pains in my right hand for the first few motorway miles but didn’t get bad enough to turn back. Also the early start meant little traffic so didn’t feel stressed. The only stressful moment was along the M18 when approaching the M180 slip-road a HGV decided to turn right at the last moment. Fortunately I wasn’t parallel and managed to pull into the outer lane. No surprise the driver appeared to be using a smart phone. 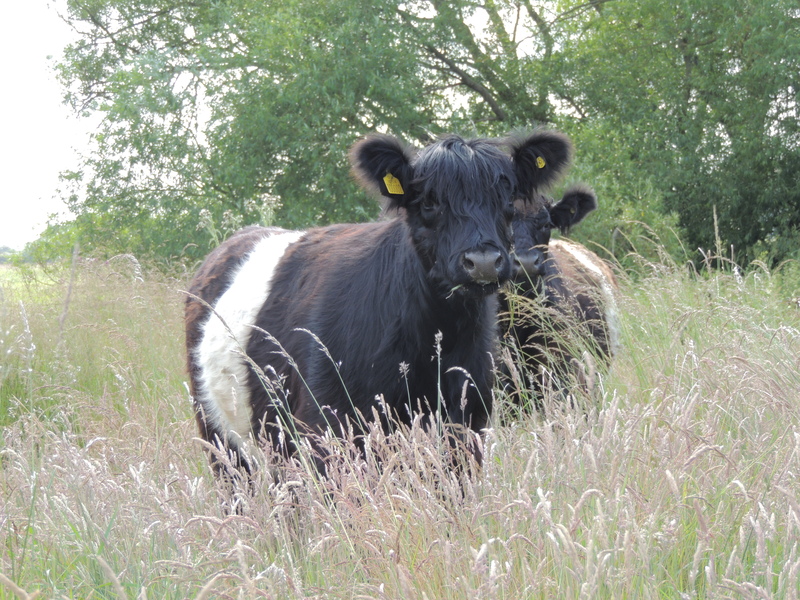 Having been to the reserve recently remembered the route and arrived with out consulting the map. In Bittern Hide all the seats were taken but there was plenty of standing room. Had already been seen so could relax a bit and hope it showed again soon. Didn’t have to wait long before it was picked up in a distant willow. Wasn’t showing well but at least I’d seen it. 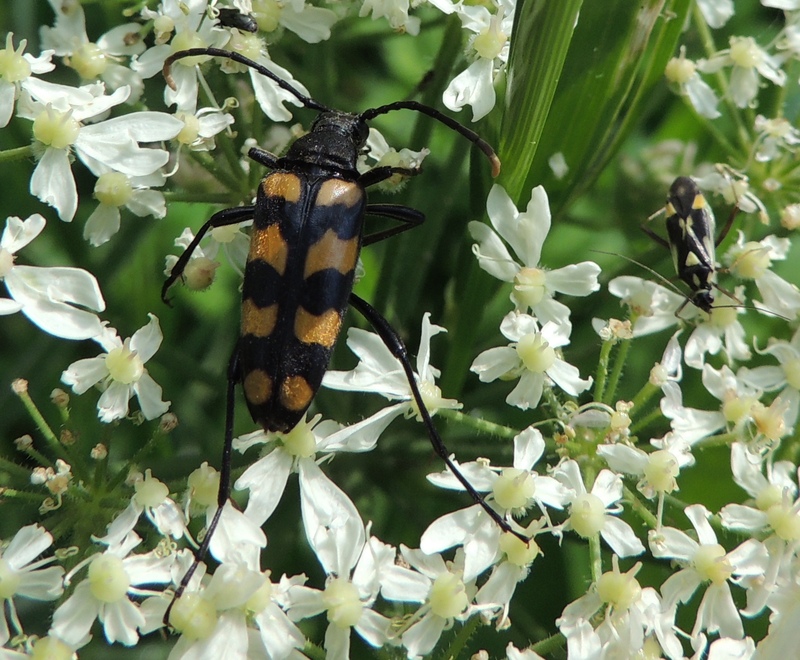 Eventually it crawled to the top then launched itself giving the views needed for tick it. Texted RL that I would easily get back to join him and ML for a bit of local birding [in the valley is no longer in use!]. While doing this I missed a close fly-by but was already happy with what I’d seen. We all left the hide as it appeared to be visible from Bittern bus stop. Couldn’t see it on the ground but it again it flew this time passing with in a few metres before disappearing behind Bittern Hide. Just too quick and close to manage a picture although a guy with a long lens got some great shots. “It’s just flown behind that bush”. Honest. On the way back had another stressful moment when a Landrover stopped belong the give way lines at the Rowley junction then for some reason started to edge out more as I got close. Some people need taking out and slapping! 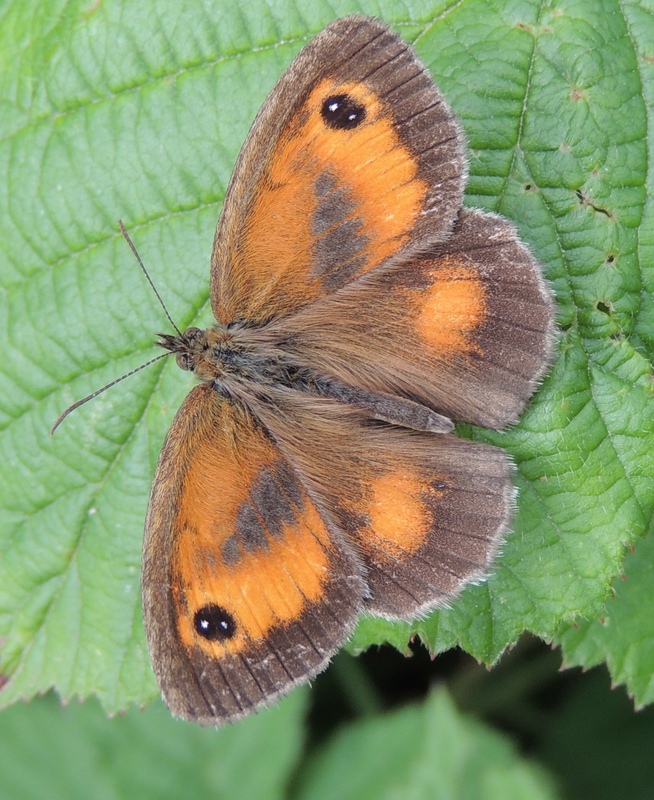 Got home with time to empty the moth trap and watch Andrew Marr before being picked up by RL. Headed to Kilnsea where a White-rumped Sandpiper on Beacon Ponds would be a tick for ML. Parked at Kilnsea Wetlands and walked to Long Bank. The bird was initially motionless on shingle bank with nesting Little Terns, a year tick. So distant and partially hidden it took a while to be convinced it was a bird and not just a “shape”. 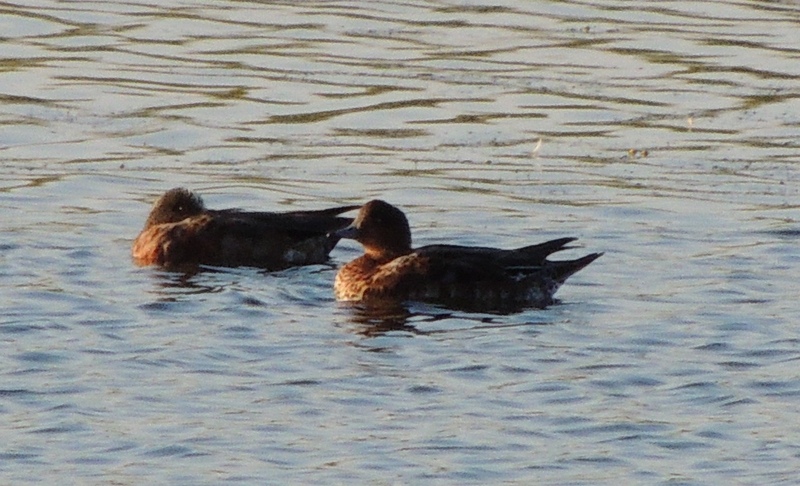 Eventually after everything was flushed it took to feeding on the waters edge. Still initially difficult to separate from a Little Stint but flew regularly showing the white rump. Another year tick was Sandwich Tern. 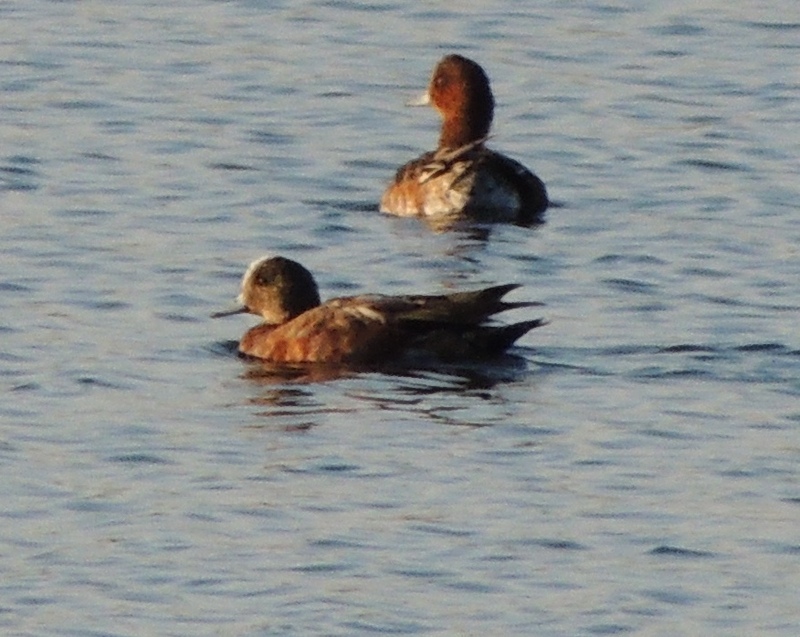 Next went to Hornsea Mere. 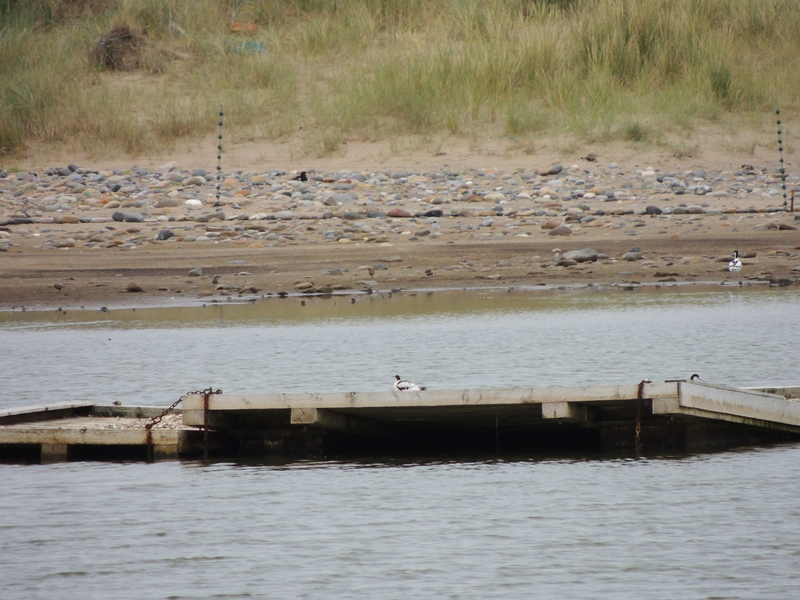 Up to a thousand Little Gulls have been seen in the evening but none on view this afternoon. Headed for Brough Haven to check breeding Marsh Harriers but a text from PS about a Quail at Wauldby caused plan change. Parked at the entrance to Wauldby Manor Farm where after a short walk we joined PS. 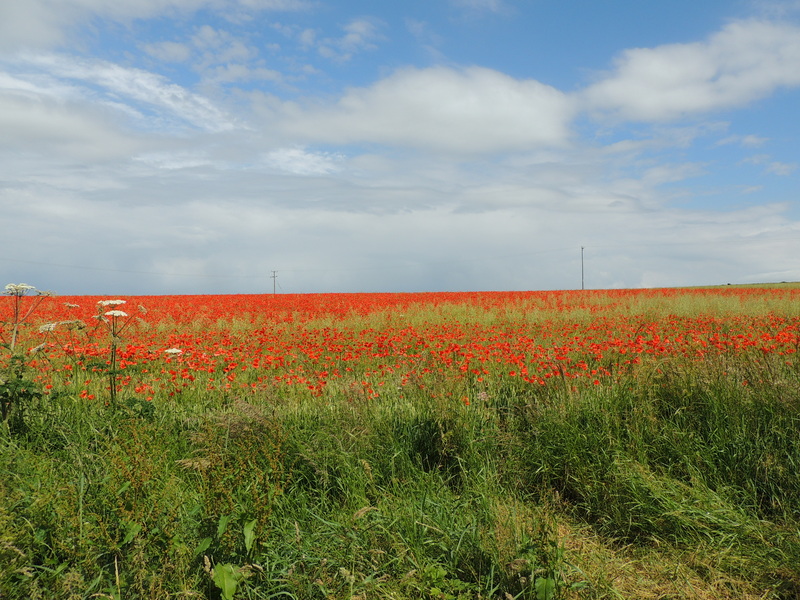 Followed him to a large poppy field passing a pond swarming with dragonflies on the way. The Quail field-Wauldby Manor Farm. The Quail was still calling if a bit distant. 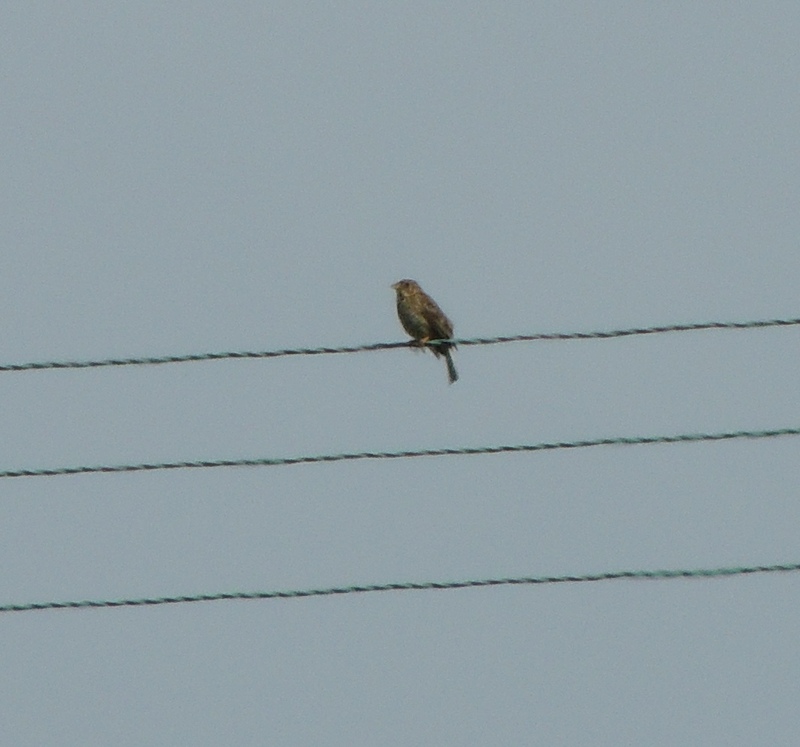 Also a Corn Bunting was singing from power-lines. 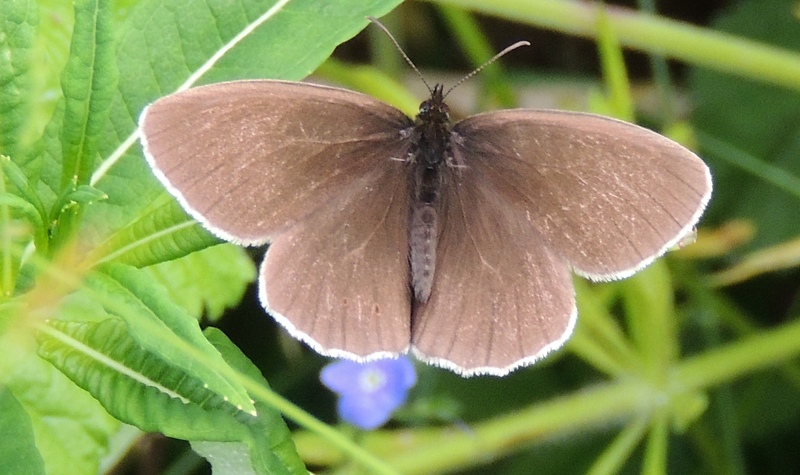 A local rarity now although PS has had them regularly in area for years. 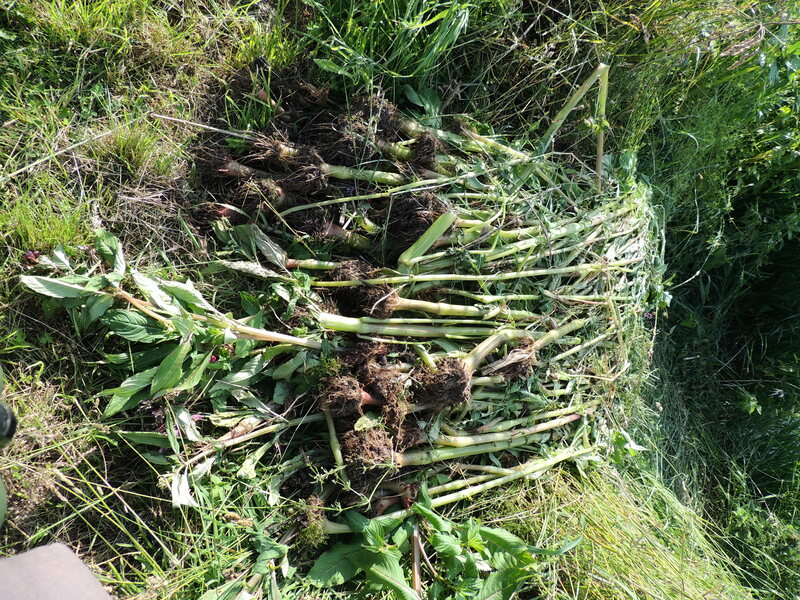 Likely a result of organic farming methods. Distant singing Corn Bunting on power-lines-Wauldby Manor Farm. Had a baby Common Frog walking back. 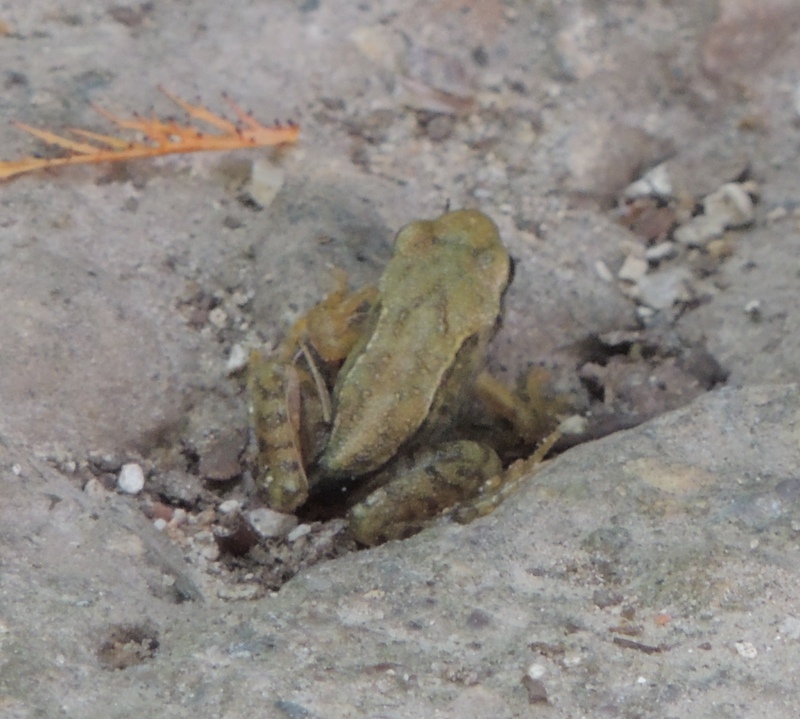 Baby Common Frog-Wauldby Manor Farm. Finally made it to Brough Haven to count the Marsh Harriers but again few waders. Not long after I left Old Moors RSPB access to the reedbeds was suspended due to fear of birders going too far disturbing a Bittern feeding young. Whether a coincidence or the fact that the Little Bittern was also being flushed it has since been much more elusive and on Tuesday it wasn’t seen until early afternoon. 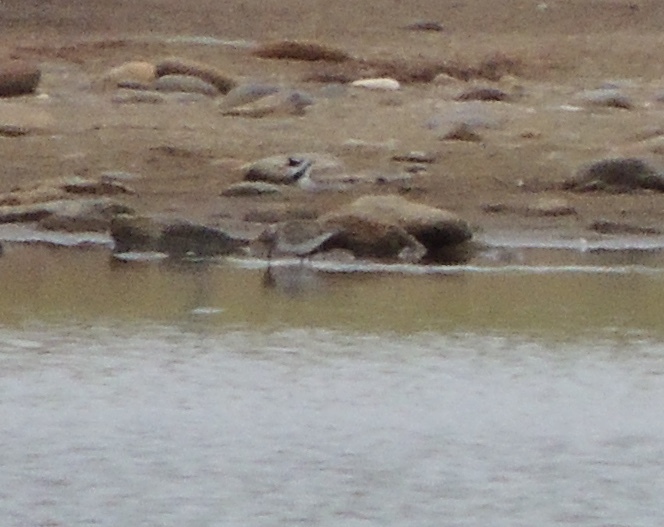 The White-rumped Sandpiper remains.